Eastern Federation: Carolyn Weinberger, PO Box 301, Glyndon, MD 21071-0302, 410-833-7926 cscrystals2 verizon.net. Although I do not have the final figures from this years Endowment Drawing, it appears that we raised a goodly amount. I'd certainly like to top that for this coming year. The funds we raise are invested and the interest is used to sponsor several AFMS projects, which benefit your club. Am also looking for a couple of prizes from each Federation, to be part of the 2010 drawing. If you would like to make a donation, want tickets or have a question, please contact me directly. 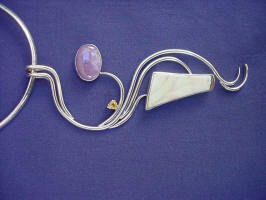 Prize #1: Sterling Silver wth citrine, agate, and willow creek jasper Pendant. 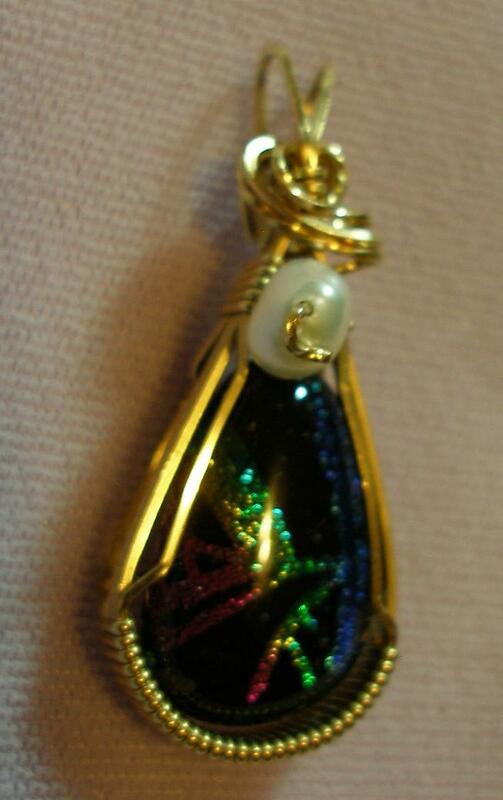 The pendant was donated by Ted Magee, Modesto, California.(CFMS). The estimated value for this necklace is $350 to $450. Ted is an instructor at Camp Paradise and Zzyzx in Silversmithing. 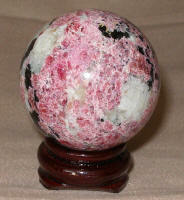 Won the AFMS Jewelry trophy 2007 Prize #2: A two inch Sphere of Eudialyte. The mineral from of this particular item is that it was always a bit rare and has only gotten scarcer. I am not sure of the location of the material but I am almost positive this came from a Canadian deposit and not from the Greenland source. This was cut by John Rowland of Austin, Texas and donated by the South Central Federation as a whole. 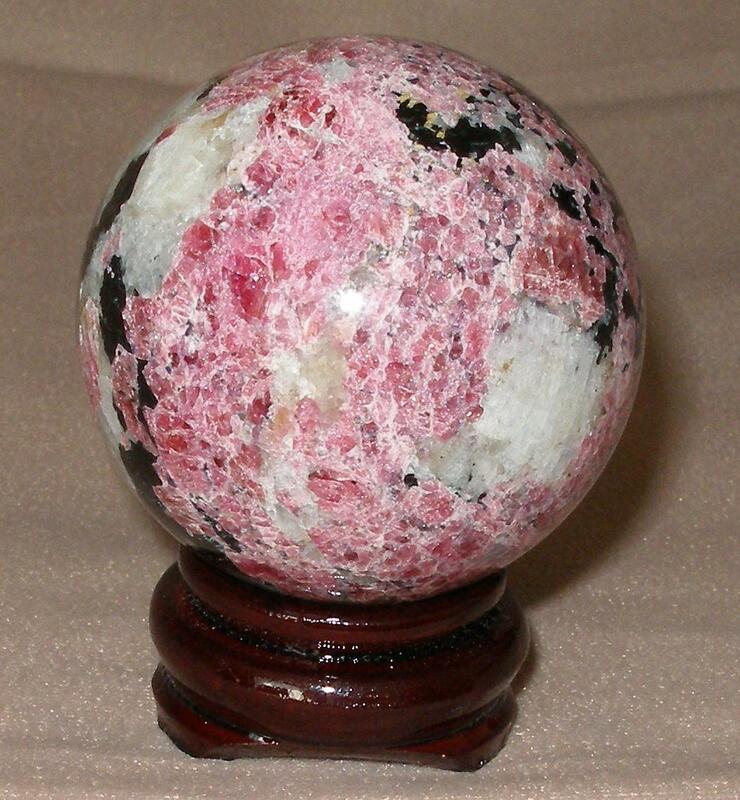 It comes with a wooden Rosewood type of sphere holder. The value for this item is $100. Prize #3: Sterling Silver and Amethyst pendent and earring set, with chain. Pendent is approximately 4mm oval and Earrings are approximately 3 mm ovals. This was donated by Les Pagel of the Victoria Gem and Mineral Society, South Central Federation. This wonderful set is valued at $50. Prize #4: Pear cut Amethyst Ring set in Sterling Silver and Palladium. Size is 6.5 or 7 ladies. Approximately 16.9 mm. Unfortunately none of these pieces of jewelry came with carat weight or millimeters sizes. 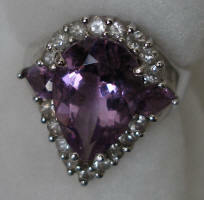 This ring is valued at 65.00 and also donated by Les Pagel. 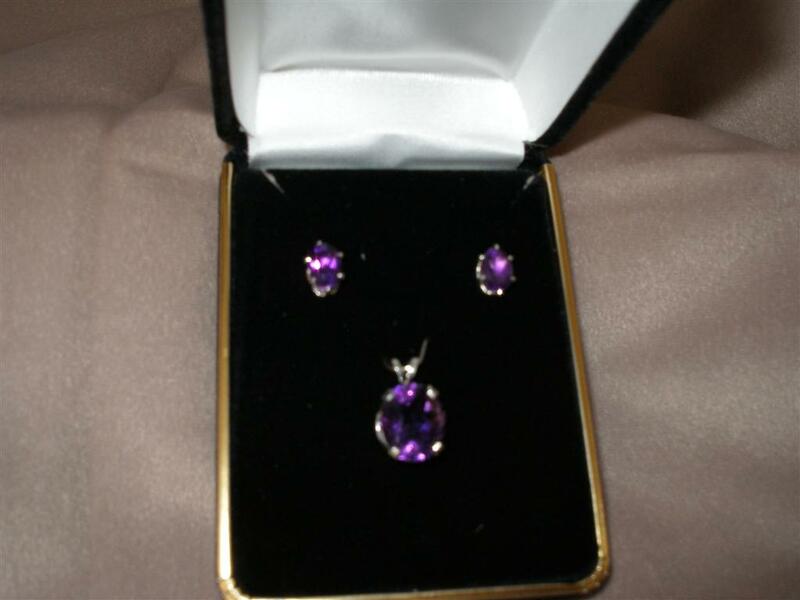 Prize #5: Amethyst Cathedral. It has very good colour and the measurements are 13.5 H x 6.5 W x 2.5 D. This would make e a very nice addition to someone home and collection. Of course being a mineral enthusiast, this would be my personal favorite. This is most likely Brazilian in origin. Value for this item is at $120. Item was donated by the Pleasant Oak Gem and Mineral Society, also in the South Central Federation. 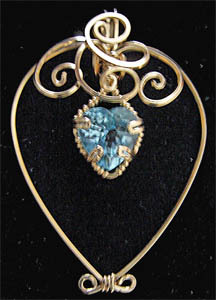 Prize #6: 14k wire wrapped pear shaped cabochon of Chrysoprase, pendent form. I don’t have all the dimension information on this. It is donated by the Eastern Federation Mineral and Lapidary Society by Al DeMilo. The value of this item is approx. $125.